Hi and welcome to the Mike Grossman Consulting newsletter! This month I’ll discuss an interesting trend in WordPress website development: drag and drop page design. If you’re considering a new website, I recommend using WordPress along with a drag and drop page builder theme or plugin. Page builders allow you to quickly create web pages without writing any code. This can significantly reduce development time. Although Weebly and Wix offer drag and drop websites, I recommend sticking with the power of WordPress along with one of the theme builders or plugins below. With a little bit of training, you might be able to design WordPress web pages yourself! My favorite page builder is Divi (which is owned by Elegant Themes). There are a large number of compatible themes to choose from that work with Divi and all of them look good on desktop and mobile devices (responsive). The major drawback with Divi is that it is difficult to switch to a different theme or page builder once you start using Divi. If this isn’t a concern, then I suggest considering Divi. Also, Elegant Themes publishes lots of new web page templates every month which can give you a head start on designing your own pages. 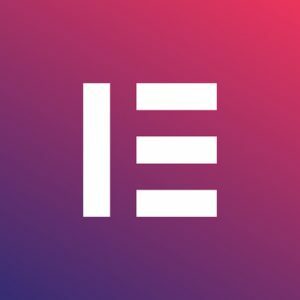 Similar to Divi, the Elementor theme allows you to drag and drop a large number of pre-defined elements to create web pages that are mobile responsive. Also, Eliminator displays a live preview as you build the page and has mobile web page editing tools. Recently, Elementor released a “Theme Builder” so you can style your entire site including headers and footers as well as each page. 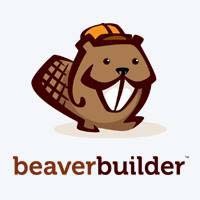 Beaver Builder is a drag and drop plugin for WordPress but it doesn’t have a huge library of compatible themes. When you build a new website I’d suggest selecting a theme that is compatible with the page builder instead of just using the page builder plugin on its own. Regardless, Beaver Builder is considered one of the best page builders on the market – click on the button below to find WordPress themes that are compatible.